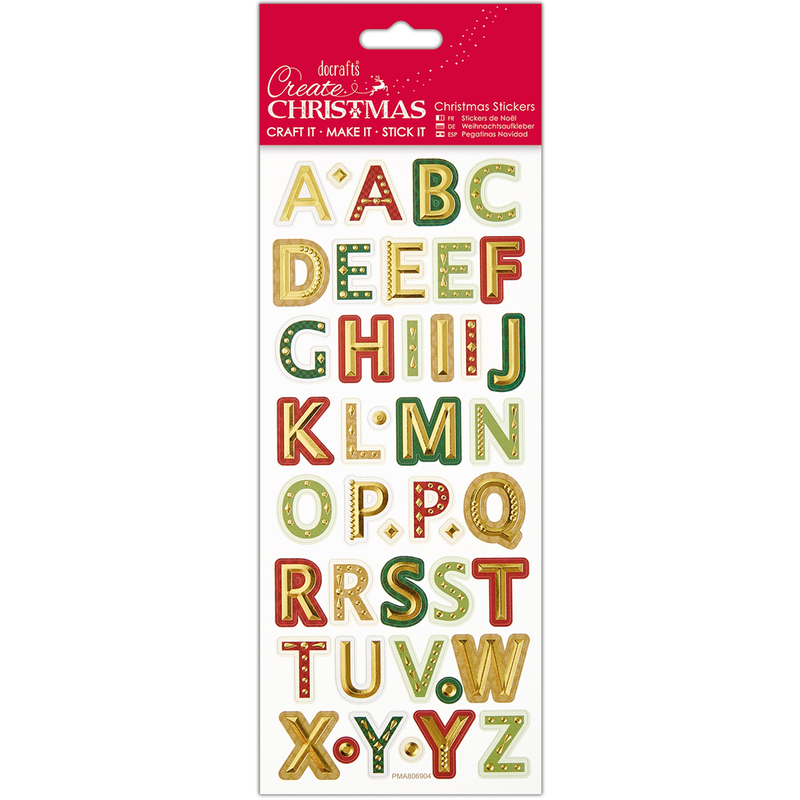 Papermania-Create Christmas Foiled & Embossed Stickers. The perfect addition to your next paper crafting project! This package contains over thirty stickers in assorted designs on a 9x4 inch backing sheet. Design: Christmas Aplhas Upper Case. Imported.